In 2015, Nihal Satyadev realized that Alzheimer’s disease is one of the largest impending healthcare crisis and noticing the lack of youth advocacy, he co-founded The Youth Movement Against Alzheimer’s (YMAA) - 501(c)3. In the last 2 years of his involvement as CEO, YMAA has become the nation's widest-reaching nonprofit in providing opportunities for college and high school students to advocacy, research, and provide care for those battling with the disease. In addition, YMAA has provided almost 3000 hours of respite care and raised $10,000 for undergraduate research scholarships. But our team can do more. So much more. In order to make a bigger impact at scale, we created YouthCare. YouthCare bridges the generational gap by partnering trained student volunteers and seniors with early-stage dementia in a one-on-one setting. For 3 hours, twice a week, they will play games, participate in artistic activities, and engage in stimulating conversation. YouthCare will take place at a dementia-friendly venue that accommodates several student-senior pairs, helping the seniors battle social isolation, while simultaneously allowing family caregivers to network with other family caregivers. This model promises to provide the most affordable respite care anywhere while simultaneously inspiring students to pursue careers in aging and helping those with Alzheimer's refind purpose. YouthCare will be more than just a respite care program. We have licensed the research-backed Brain Boot Camp from UCLA’s Dr. Gary Small and will be training students on how to effectively conduct memory training exercises with their elderly partners. How do we know this program will work? 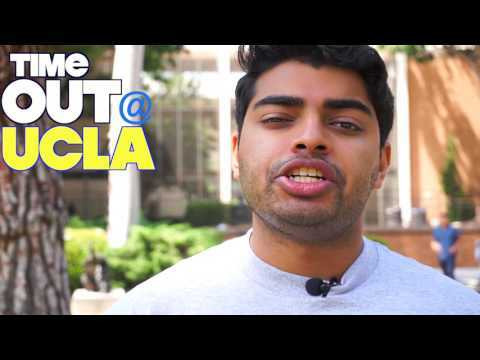 Well, we've already run a similar, but grant-funded model for the past 2 years: TimeOut@UCLA. This program has proved successful in providing positive outcomes for those with Alzheimer's, their caregivers, and students. Our program has recently won the UCLA Social Enterprise Pitch Competition and was selected as a finalist for Solve-MIT. Please support our program so we can help those with Alzheimer's, their caregivers, and students! Together, we can create a future worth remembering. Note: Edwards Charles Foundation has helped the Clinton Global Initiative launch the commitments challenge. Money raised from this challenge will go towards YouthCare.